With deep sadness, we report that Henry Koffler died Saturday, March 10, 2018. He was an extraordinary man who lived an extraordinary life. all over the world whose lives he made better. A celebration of his life will be announced at a later time; please check back here. Phyllis Koffler, Vivaldi Villas, 7700 S. Vivaldi Court, Tucson AZ 85747.
or the Humane Society of Southern Arizona. Questions as related to the family are being taken at 520-477-9636. The Arizona Senior Academy invites you to their tribute page for Henry at http://henrykofflertribute.net/. Please also add your memories of Henry at http://henrykofflertribute.net/guestbook. On March 10, 2018, Dr. Henry Koffler died in Tucson, Arizona. To the very end he was engaged wholeheartedly in the life of the University of Arizona, where he and his wife Phyllis remained visible presences, in the activities of the Academy Village and the Arizona Senior Academy, in which he was the driving force, and in the broader life of Tucson and Arizona, where Dr. Koffler advocated for the inestimable value of older people applying their gifts to the greater good. He was a dedicated scientist, teacher, mentor, and university leader throughout his career. Highlights included a Guggenheim Fellowship at the School of Medicine at Western Reserve University, now Case Western Reserve University, 1953-54 ; Headship of Purdue’s Department of Biological Sciences,1959-1975; the Frederick L. Hovde Distinguished Professorship of Biology, Purdue, 1974-1975; the Vice-Presidency of Academic Affairs, University of Minnesota, 1975-1979; Chancellorship of the University of Massachusetts Amherst, 1979-1982; and the Presidency of The University of Arizona, 1982-1991. At the core, Henry loved being associated with gifted people, and developing and harnessing their collective talents toward significant discoveries, teaching, and service. He held uncompromisingly high standards and demonstrated throughout his life exceptional analytical capacities, whether directed toward science or the functioning of human organizations. Henry Koffler was born on September 17, 1922, in Vienna, Austria. The unwavering support and unconditional love of his mother Louise, and his childhood surrounded by music and the fine arts, formed the foundation of his life. In 1939 at 17, Henry immigrated to the United States on his own with just $10 in his pocket, landing on Ellis Island on Thanksgiving Day, shortly after the beginning of World War II. In 1940 he entered the University of Arizona as its second annually appointed International Scholar and graduated with a B.S. in Agricultural Chemistry in 1943. While there, he met his future wife Phyllis, whom he married in 1946, a loving and ideal partner whom he always credited for his productive career. As in a true American success story, not even Henry could have imagined that 39 years later he would return as the first alumnus to become president of his alma mater. Continuing on to University of Wisconsin, he received his M.S. in Bacteriology in 1944 and his Ph.D. in Bacteriology and Biochemistry in 1947, and was a Wisconsin Alumni Research Foundation Fellow from 1943-1947 and a National Research Council Fellow from 1946-1947. 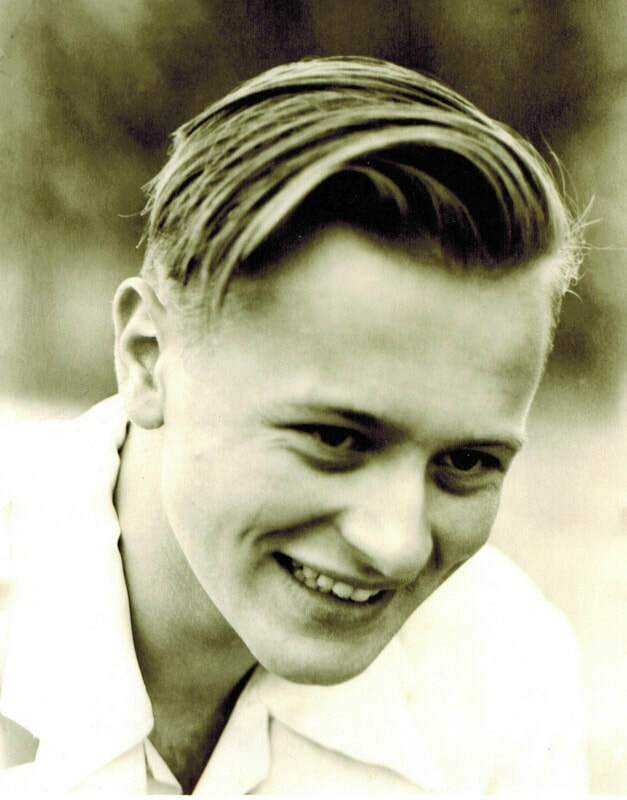 In 1947 he joined the faculty at Purdue as Assistant Professor of Bacteriology, concentrating his research on microbial physiology and molecular biology of microorganisms, and was rapidly promoted to a full professorship in 1952 while only 29. From 1953-54 he was a Guggenheim Fellow in the School of Medicine at Western Reserve University, and from 1959-1975 he served as Purdue’s Head of Biological Sciences, a department that he brought to international prominence and which produced five members of the National Academy of Sciences by the time he left in 1975. In 1974 he was awarded the Frederick L. Hovde Distinguished Professorship of Biology. His ability to identify, recruit, and help develop promising scientists, to anticipate emerging areas of scholarship and education, and to successfully build and lead intellectual enterprises became widely known. This led to his appointments as Vice-President of Academic Affairs at the University of Minnesota in 1975-1979, and as Chancellor of the University of Massachusetts/Amherst from 1979-1982. He received a Board of Regents citation from the University of Minnesota in 1979 and from the legislature of Massachusetts in 1982. From 1982–1991, Dr. Koffler served as President of the University of Arizona, and as President Emeritus thereafter. He also held professorships in Biochemistry, Molecular and Cellular Biology, and Microbiology and Immunology from 1982-1997, when in 1997 he became Professor Emeritus of Biochemistry. In 1985, he received one of the University’s Centennial Awards in 1985, a citation from the Arizona Board of Regents in 1991, the Regents’ Medal in 1991, and the Alumni Achievement Award in 2001, the Alumni Association’s highest honor. Henry presided over the impressive success of the University, leading to its election into the highly selective Association of American Universities in 1985, and to the National Science Foundation’s rankings in 1991 as 20th in Research and Development among all (private and public) American institutions and 15th among public universities. These achievements were partly fueled during his presidency through the recruitment of approximately 700 faculty members and other professionals and the appointment of impressive administrative colleagues, who shared Henry’s values. His commitment to diversity was demonstrated by a 94 percent increase of minority faculty members, a 118 percent increase in women faculty members, and a 123 percent increase in minority students. Under his leadership state funding almost doubled, Research and Development expenditures increased almost 150 percent, university facilities were expanded almost 60 percent, and 34 research centers were created. In 1985 he led the year-long Century II campaign of the University’s first fundraising campaign, greatly exceeding its original goal of $100 million with an achievement of $198 million. The events during this and the following year included the Festival in the Sun, an artistic and cultural celebration that set the standards for future presentations by what now is called UA Presents. Henry regarded the Land-Grant College Act enacted during the Civil War and the G.I. Bill of Rights at the end of World War II as two of the cornerstones of our democracy, primarily by providing children from families with limited means access to public higher education. However, he believed that the Land-Grant College Act did not take full advantage of the synergy of which an innovative combination of teaching, research, and technology transfer could be capable, especially in the creation of new enterprises, restricting faculty members from establishing equity positions in for-profit businesses based on their university research and discoveries. Henry began to address these challenges in 1986 with the establishment of the Office of Economic Development and the Office of Technology Transfer, and encouraging the University of Arizona Foundation to start the Arizona Technology Development Corporation (ATDC), the University’s first business incubator. To increase the involvement of the University in economic development, it was important to persuade the Legislature to pass legislation authorizing University employees to establish equity positions in enterprises developed from their discoveries. This was also accomplished in 1986. Because of his interest in biology, chemistry, and undergraduate education, in 2000 the University named its new Chemistry/Biology undergraduate teaching building the Henry Koffler Building. The acquisition of the IBM plant during the presidency of Dr. Manuel Pacheco as the University’s Science and Technology Park was another significant step forward in the efforts begun by Henry. Regent Donald Pitt and President Emeritus John Schaefer played key roles in this acquisition. Bruce Wright, Henry’s 1986 appointee to head the university’s participation in community and public service, including economic development, led the development and management of the Tech Park. After he retired as President, Dr. Koffler continued to play a significant role in economic development, joining the Board of Directors of the Campus Research Corporation (CRC) and serving as chairman of the Arizona Center for Innovation Advisory Board, an important incubator that provides needed facilities, helpful connections, management advice, and experienced mentors to fledgling entrepreneurs. President Ann Weaver Hart’s effort to unify these endeavors under the Tech Launch Arizona program, directed by Vice-President David Allen, on whose Advisory Board Henry served until his death, promises to bring Henry’s decisions made in 1986 to fruition. He was especially proud of his contributions to the success of Ventana Medical Systems, a medical diagnostic company developed since 1985 by Professor of Pathology Thomas Grogan that was sold in 2008 to the pharmaceutical giant Roche for $3.4 billion. Another major achievement during this tenure was the computerization of the campus. During his preliminary visits, he was surprised to learn that little had been computerized or modernized since he had been there as a student 39 years before. He assembled a task force, made sure a plan was put in place to make significant improvements to the areas of student data, administrative computing, overall information services, and computerization of the Library. True to form, he assembled a task force as soon as he arrived in Tucson to analyze the current state and future directions needed, and a plan was set in place to make the necessary improvements over a period of several years. In addition to research computing, which was the furthest along at the time, significant needs were identified in the areas of student data, administrative computing, overall information services, and computerization of the Library. The first step was implementing the creation of the Center for Computing and Information Technology (CCIT, now UITS), which was basic to the computerization of the other services. Computerization of the Library was the last major phase in the project, which began with Henry’s appointment of Carla Stoffle as Dean of University Libraries in 1991. His brilliant choice of Cedric Dempsey as Athletic Director (1983-1993), and appointments of great coaches such as Lute Olson (1983-2008) and Mike Candrea (recruited in 1986), led to the achievement of a broadly gauged and successful athletic program, with 19 UA students winning a total of 11 medals (three gold, five silver, and three bronze) in the 1984 and 1988 Olympics. Henry used to note jokingly that the fact that the Arizona football team remained undefeated by ASU during all nine years of his presidency spoke highly to his leadership. Dr. Koffler served on the boards of the University Medical Corporation (whose creation he initiated), the Arizona State Board of Education, Arizona Town Hall, Tucson Tomorrow, Tucson Economic Development Council, Arizona Economic Council (which he helped found), Greater Tucson Economic Council (founding member), Tucson Technology Incubator, United Way of Tucson and Southern Arizona, the Mera Bank, the Arizona Executive Board of U.S. West Communications, Up With People, on the Advisory Council to the congressional Office of Technology Assessment, and as a long time board member and chairman of COPE, a mental health organization. Throughout his career, he served as consultant to government, educational institutions, and industry, and on panels of the National Academy of Sciences, the National Institutes of Health, and the National Aeronautics and Space Administration. Among other public and professional offices, Henry served as founding Governor and founding Vice-Chairman of the American Academy of Microbiology; member of the governing boards of the Fermi National Accelerator Laboratory and the Argonne National Laboratory; and as a Director of Five Colleges, the pioneering consortium consisting of Amherst, Hampshire, Mount Holyoke, Smith Colleges, and the University of Massachusetts; and, separately, as a board member of Hampshire College. He was also a board member of the American Association of Colleges and Universities, a member and chairman of the Council of Presidents, a member of the Executive Committee of the National Association of Land-Grant Colleges and Universities (now the Association of Public and Land-Grant Universities), a member of the American Association of Universities, and served on the Council of Presidents of the Consortium for International Development. He served on the (Arizona’s) Governor's Advisory Council on Aging, in 2002 as its chairman. He was a member and then a life member of the Tucson Airport Authority from 1982 until his death. 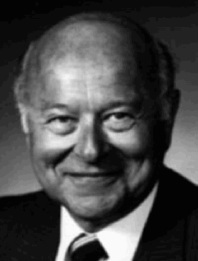 Among the recognitions Henry received during his career and after his retirement include selection in 1951 as Fellow of the American Association for the Advancement of Science, receipt of the Eli Lilly Award in Bacteriology and Immunology awarded by the American Society of Microbiology in 1957, and honorary doctorates from Purdue University (D.Sc.) in 1977, and from the University of Arizona (D.Sc.) and Amherst College (LL.D. ), both in 1981. In 1977 the French government inducted him as Chevalier (Knight) into the Ordre des Palmes Académiques (Order of Academic Palms), a national order of France for distinguished academics and figures in the world of culture and education. In 1996, Purdue established the Henry Koffler Distinguished Professorship in Biological Sciences, and he was recognized in 1999 as one of Purdue's Great Teachers since the beginning of the institution. 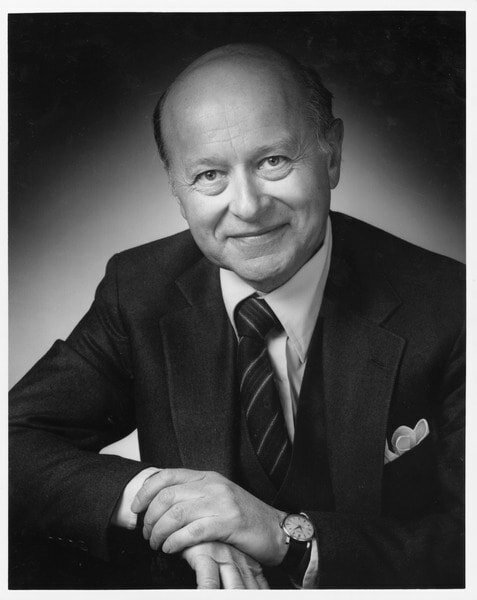 In 2000, the University of Arizona Foundation established the annual Henry and Phyllis P. Koffler Prizes for recognizing a member of the faculty or professional staff for distinguished service in research, teaching, or public service, and he was a member of its Leadership Council. The Arizona Townhall elected him to the Circle of Distinguished Service in 2002, the first year this award was given. On the 2008 Innovation Day, he received the University's Lifetime Achievement Award, and in 2013 was awarded the A.L. Slonaker Award from the Bobcats student leadership organization for his service to the University of Arizona. Henry was especially delighted when the UA Hispanic Alumni Club awarded him the newly created Portrait of Excellence Award in 2016 for his role in helping to establish the Hispanic Alumni Association. play a significant educational and cultural role in Tucson and serving nationally as a model for successful retirement—or, as the Academy would claim, successful “unretirement”. “He proudly would describe the Arizona Senior Academy as one of his greatest accomplishments," said Gary Fenstermacher, former UA dean of the College of Education and president of the services division of ASA. Finally, his transition into the world of art in the last phase of his life. Facing a long recuperation from surgery, he began using his tablet to do abstract art and realized that he had discovered his true medium. Thus, began his artistic career late in his 90s. Since starting in 2013, he taught himself how to use his iPad, had five major shows, and left a large body of beautiful work. You can see his art and personal statement here on his website, a clear reflection of his conviction that creativity need not stop with old age. His great joy in life and belief in the good of people; his friendliness; the dignity and respect with which he treated others; his brilliant mind; his integrity and gentle courage; his inherent ability to cherish the creative, the innovative, the beautiful, and the heartfelt; his impish sense of humor; his lifelong pursuit of discovery, science, and learning; his deep love for music and the arts; his ability to open his heart and share himself unselfishly; his concern for the young and needy; his persistence and hard work; the sheer goodness of who he was. This was a man who lived life fully, believing that what one contributes to society is what lives on. Farewell, dear friend. You will be missed more than you would have known. A celebration of his life will be announced at a later time. Expressions of condolence may be sent to Phyllis Koffler at the Vivaldi Villas, 7700 S. Vivaldi Court, Tucson AZ 85747. The family requests no flowers. 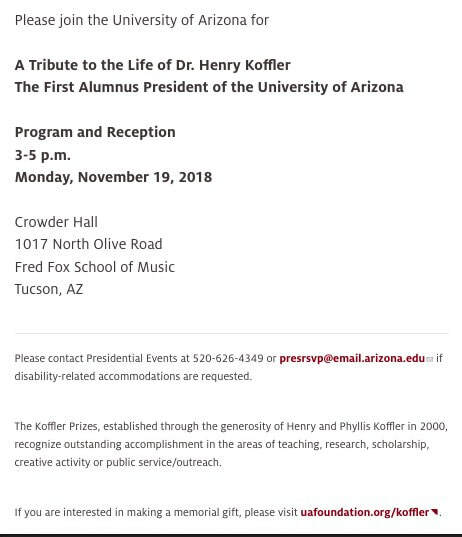 Donations can be made to the Henry and Phyllis Koffler Prize at the University of Arizona Foundation, to the Koffler Memorial at the Arizona Senior Academy at 13715 E Langtry Lane, Tucson, AZ 85747, or to the Humane Society of Southern Arizona in Henry Koffler's name. The Arizona Senior Academy invites you to share your memories of Henry Koffler on their tribute page at http://henrykofflertribute.net/guestbook.